Dr. Judit E. Puskas, professor of chemical and biomolecular engineering, the University of Akron, will be awarded the 2017 Charles Goodyear Medal. The most prestigious award given by Rubber Division, ACS, honors an individual for outstanding invention, innovation or development which resulted in significant change or contribution to the nature of the rubber industry. Puskas’ research activities span a broad range of topics, with a focus on the synthesis of novel materials having great technological promise. Her synthetic efforts are accompanied by detailed analyses of the chemical and topological structure and rigorous investigation of physical properties. Puskas breadth of accomplishments includes arborescent (dendritic and hyperbranched) polyisobutylenes, the synthesis of polyisoprene, and novel thermoplastic elastomers. In the former, she augmented pioneering synthetic efforts by developing analytical methods to unravel the complex structures of these materials, which was essential to interpretation of their properties. The characterization work led to new insights into structure, including property relationships in polymers. Puskas has pursued numerous applications for arborescent polyisobutylenes, including block copolymer thermoplastic elastomers and as controlled release agents. Puskas has been active in developing bio-inspired routes to natural rubber and related polyisoprenes. This work is said to be very creative and to have the potential to revolutionize the production of this most important polymer. Her review article in Progress in Polymer Science on the biosynthesis of natural rubber provided many new insights and has become the classic work in the field. Puskas has made significant contributions to the field of thermoplastic elastomers based on isobutylene and alloocimene. The intriguing mechanical properties of these novel materials and the potential for chemical modification of the end blocks are said to suggest great potential for various applications. Puskas received a Ph.D. in plastics and rubber technology in 1985, and an M.E.Sc. in organic and biochemical engineering in 1977 from the Technical University of Budapest, Hungary. Her advisors were Professors Ferenc Tüdös and Tibor Kelen of Hungary, and Professor Joseph P. Kennedy at the University of Akron, in the framework of collaboration between the National Science Foundation of the USA and the Hungarian Academy of Sciences. She started her academic career in 1996. Before that, she was involved in polymer research and development in the microelectronic, paint and rubber industries. 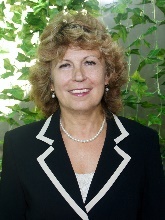 Her present interests include the integration of breast reconstruction and cancer research, green polymer chemistry, biomimetic processes and biomaterials, living/controlled polymerizations, polymerization mechanisms and kinetics, thermoplastic elastomers and polymer structure/property relationships, and probing the polymer-bio interface. She is one of the editors of the new Interdisciplinary Reviews in Nanomedicine and NanoBiotechnology WIRE, published by Wiley-Blackwell, and a member of the advisory board, of the European Polymer Journal. Puskas has been published in more than 370 publications, including technical reports, is an inventor or co-inventor of 31 U.S. patents and applications, and has been chair or organizer of a number of international conferences. Puskas has been awarded her first NIH grant (the first ever in the Department of Polymer Science) in 2010, and has had seven NSF Grants since 2005, including a Special Creativity Extension in 2013. She is the recipient of several awards, including the 1999 PEO (Professional Engineers of Ontario, Canada) Medal in Research and Development, a 2000 Premier’s Research Excellence Award, the 2004 Mercator Professorship Award from the DFG (Deutschen Forschungsgemeinschaft, German Research Foundation), the Lanxess (previously Bayer) Industrial Chair 1998-2008, the 2009 “Chemistry of Thermoplastic Elastomers” Award of the Rubber Division of the American Chemical Society, the Woman of Achievement Award, the Arpad Medal from the Arpad Academy of the American Hungarian Association, and she was finalist for the Athena Awards. In 2014, she was named the Joseph M. Gingo Chair. She was elected Fellow of the American Institute of Medical and Biological Engineering AIMBE in 2011, and of the International Union of Pure and Applied Chemistry IUPAC in 2013. In 2012 she was one of the five winners of the GE Healthymagination Breast Cancer Challenge Award, selected from 400 international applications. Her research is now focusing on the integration of breast cancer diagnosis and treatment with breast reconstruction. She and her business partners received a Phase II SBIR grant from NSF to demonstrate the effectiveness of her polymeric diagnostic agents, in collaboration with the Cleveland Clinic. Her Center of Advanced Elastomers for Healthcare, supported by Rubber Division, ACS, and the Breast Cancer Innovation Foundation, also received an NSF grant, helping her commercialization efforts. Puskas has raised over $4 million for research in Canada, and over $10 million since joining the University of Akron. As a co-inventor of the polymer used on the Taxus coronary stent, Puskas helped the University of Akron generate more than $5 million in license fees.